Product prices and availability are accurate as of 2019-04-26 07:35:39 BST and are subject to change. Any price and availability information displayed on http://www.amazon.com/ at the time of purchase will apply to the purchase of this product. 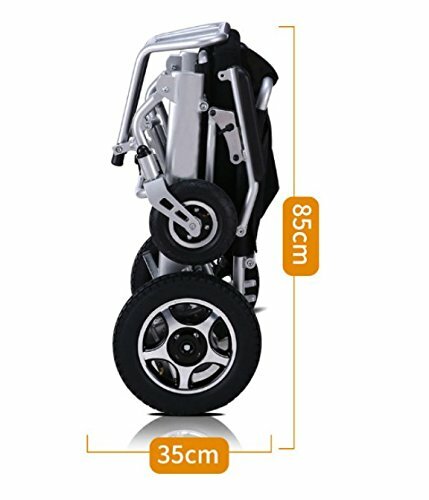 Electric Wheelchairs are delighted to offer the famous 2018 NEW Comfy Go Remote Control Transport Folding Air Travel Electric Mobility Power Wheelchair Lithium Battery. With so many available today, it is wise to have a brand you can trust. 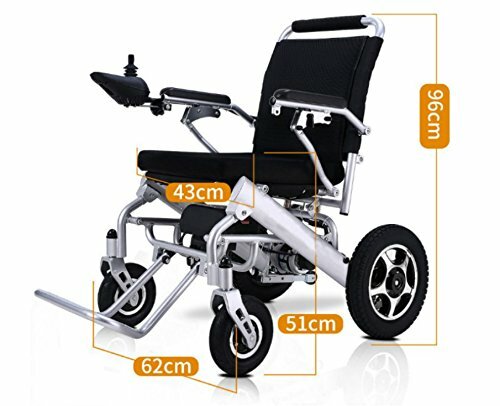 The 2018 NEW Comfy Go Remote Control Transport Folding Air Travel Electric Mobility Power Wheelchair Lithium Battery is certainly that and will be a perfect buy. For this price, the 2018 NEW Comfy Go Remote Control Transport Folding Air Travel Electric Mobility Power Wheelchair Lithium Battery is widely respected and is always a regular choice amongst most people. Buvan Corp, Inc have added some excellent touches and this means great value. 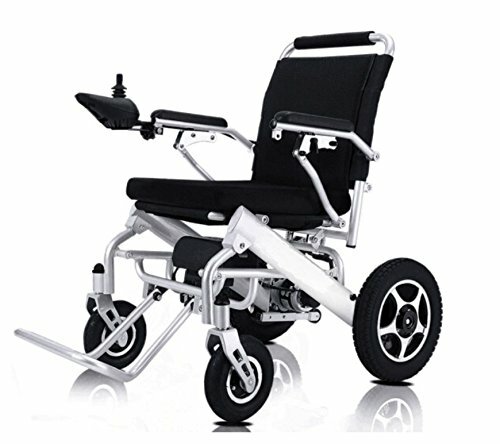 The COMFY GO wheelchair is an innovative all new design travel folding wheelchair. 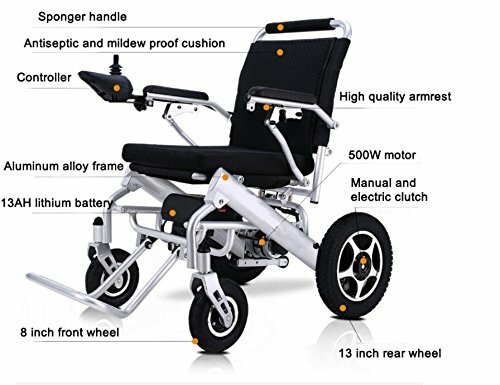 The listing is for wheelchair with Lithium Battery. 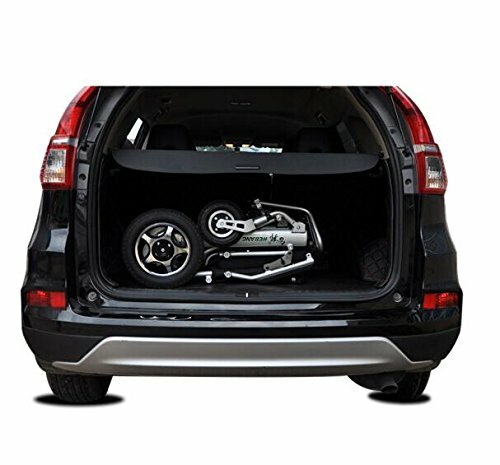 The Transport wheelchair is lightweight, airlines friendly, and easy to load is a car trunk. It is simple to fold as easy as 1,2,3. It features a weight capacity of 360 lbs. and a top speed of 4 mph. ULTRA LIGHTWEIGHT! It is just 50 lbs with a Lithium battery! 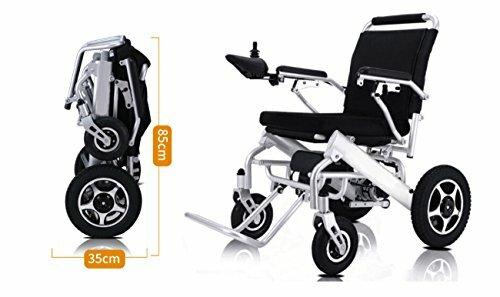 The versatile wheelchair is assembled with Aluminum Alloy Foldable chair, 13AH Lithium battery, antiseptic, breathable seat and back cushions. REMOTE CONTROL! This 2018 model new wheelchair has remote control technology. 360 degree waterproof universal intelligent Joystick, easy controlling, it has power indicator light, power on/off, horn, speed indication, speed up and down buttons. AVIATION TRAVEL! FDA Approval, Convenient, Easy for the Aviation Travel. Apply to all different road types such as grass, ramp, deceleration strip, brick, muddy, snow, bumpy road ELECTROMAGNETIC BRAKE! Stops smooth and super safely. 24V 500W Motor, Max 4 mph, Range: 13 Miles, Charging Time: 6-8 hours. Front Wheels: 8 inches, Back Wheels: 13 inches. Seat: 17x16x21 inches. ALUMINUM ALLOY CHASSIS! The weight capacity is 360 lbs. Climbing Ability: Less than or equal to 35 degrees. The tires are solid & inflatable, wear resisting. The front driven wheel is 8" that could rotate 360 degrees which makes it easy for turning.